PLP leader Clyde van Putten has informed The Hague that the coalition does not agree with the way the ‘committee of wise men’ has been named. 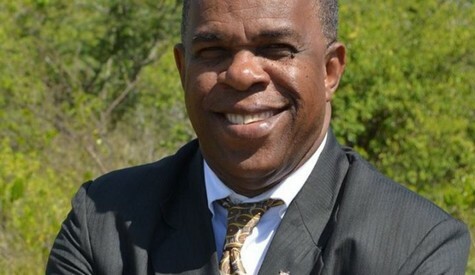 Oranjestad- Leader of the Progressive Labor Party (PLP) in a letter to Minister Plasterk of Kingdom Affairs has expressed serious reservations about the ‘committee of wise men’ which has been unilaterally named by the Dutch government. Van Putten points out that the way the committee has been put together and the mission it has been given is not at all according to the agreement which was initially made between Oranjestad and The Hague. Van Putten writes in his letter to Plasterk: “On March 3, 2017, Mr. Van Zwol (Secretary General at the Ministry of Kingdom Relations, editor) visited Sint Eustatius, during which he spoke with both island council members and the Executive Council. In addition, the Executive council proposed to jointly set up a committee of wise men which would work on the improvement of the relationship between the island government and your ministry”. According to Van Putten, The Hague has taken a completely different approach now. “From the letters of Mr. Van Zwol and yourself, it appears that this has turned into a committee that will investigate the functioning of the government of the Public Entity of Sint Eustatius and report on her findings to you”, according to the letter written by Van Putten. According to Van Putten, this is very far from what had originally been discussed with Van Zwol while he was in Sint Eustatius, and certainly does not reflect what had originally been agreed between the two parties. Van Putten also protests the fact that two candidates (Xavier Blackman and Hyden Gittens) suggested by local government as members to the joint committee, were initially deemed good candidates, but later rejected all the same by The Hague. According to Van Putten, given the situation and the way the committee has been put together, the governing coalition does not intend to cooperate with the work of the committee. “It may be clear that in the eyes of the Executive Council, the committee of wise men lacks representation and support of both parties and that with the focus on the governance of the island, and not the relationship with and the influence of your ministry, the Executive Council sees little good in this committee. Our council will therefore not cooperate with the committee and instruct the staff of our government to do the same”, according to Van Putten in his letter to Plasterk.